Created from parts of Floyd and Paulding counties, Polk County was named for President James K. Polk. 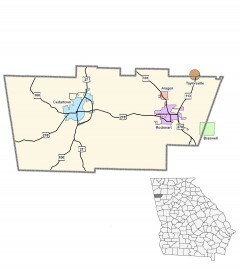 Cedartown carries the same name as a Creek Indian town previously found in the area. The name comes from the many Red Cedar trees around the county.